Summer in Chicago can only mean one thing — patio season. 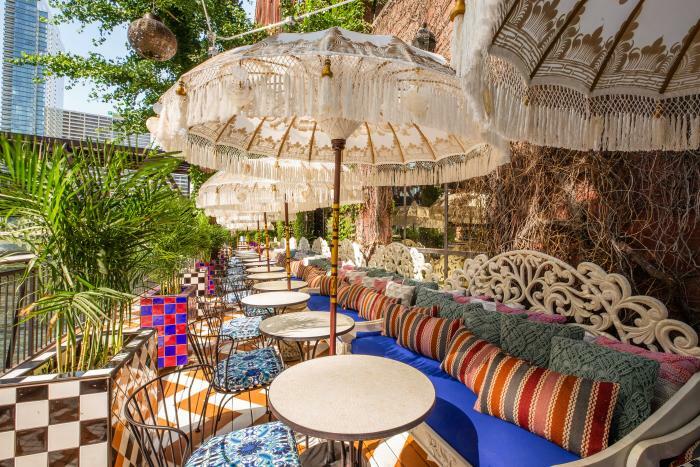 This, and every, patio season is all about finding the latest spot to soak up the warm rays while enjoying tasty food, chilled drinks, and cool vibes. 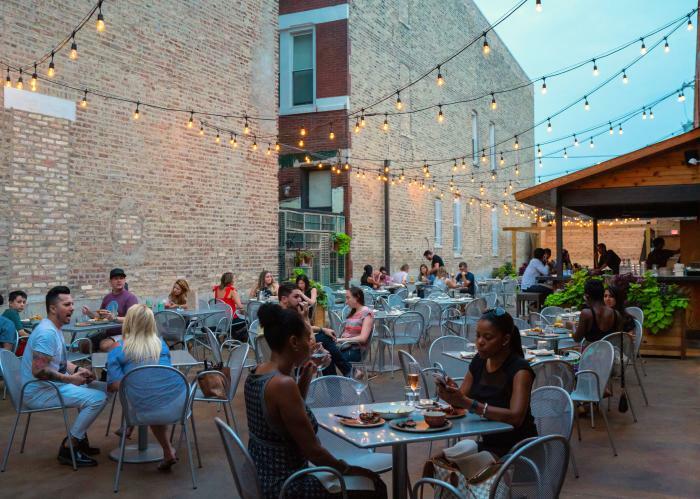 Check out these new patios, rooftops, and decks that are perfect for outdoor dining this summer in Chicago. Monnie Burke’s opened up in mid-2018, so this year will be its first full patio season. Located in Pilsen, Monnie Burke’s owners opened this spot with intentions of creating a buzzy patio space. Picture it: an outdoor bar, a large fire pit, some live music. Add in string lights and perfectly placed flora and fauna, and Monnie Burke’s patio becomes a casual kickback with friends in the backyard, complete with cocktails and delicious food. 1163 W. 18th St.
Parson’s patio in Logan Square is already one of the hottest spots to pass a summer afternoon. Their new Lincoln Park location might just give the original a run for its money. 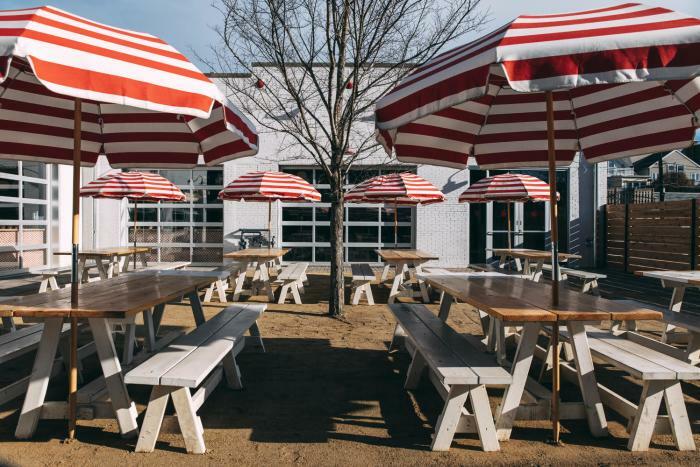 The brand new patio is spacious and sandy, plus enough picnic tables and umbrellas to accommodate your whole group. Grab some delectable fried chicken or fish and their signature negroni slushy, and you’re ready to enjoy a beautiful summer afternoon. 2435-39 N. Halsted St.
RPM on the Water is set to make its much-anticipated debut later this summer. 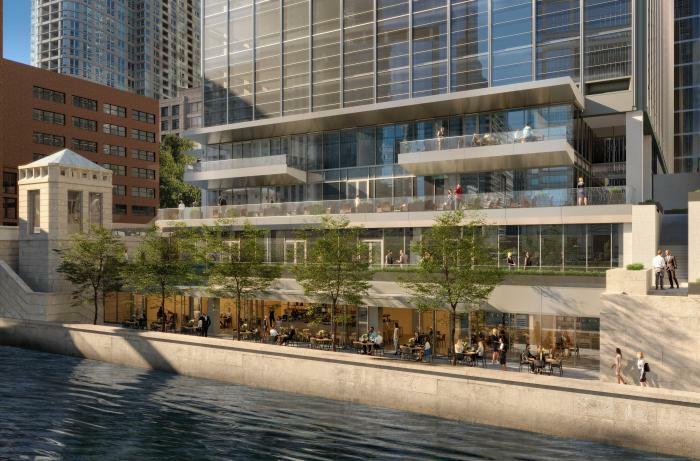 This dramatic, four-level restaurant along the Chicago Riverwalk will boast a 100-seat waterfront patio. 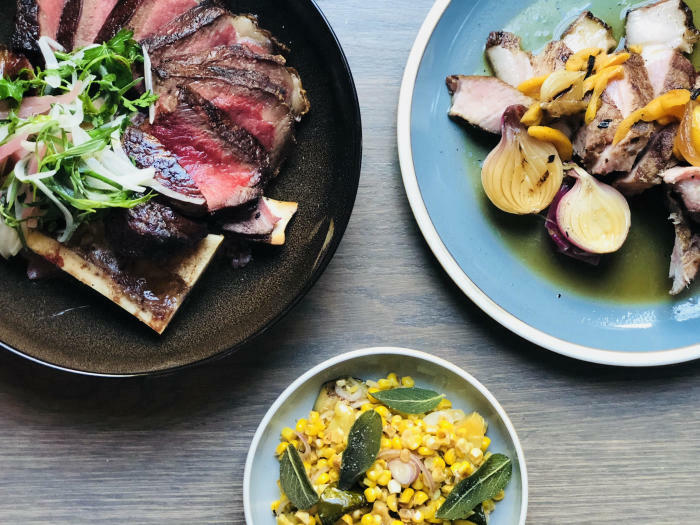 It’s the latest endeavor by Bill and Giuliana Rancic, whose RPM restaurants in River North remain some of the top tables in town. Guests can expect high quality seafood, an extensive wine list, and stunning views. 317 N. Clark St. Le Sud’s menu promises the flavors from southern French — and their new rooftop deck will bring the summer-in-Nice vibes. This neighborhood gem opened in September last year, but their outdoor space hasn’t been unveiled till this summer. But once the temperature hits 60, you can find on this charming new rooftop, rosé in hand. 2301 W. Roscoe St.
One may not typically put “French brasserie” and “patio season” in the same thought, but Taureaux Tavern mashes those two together and places it in the Loop. 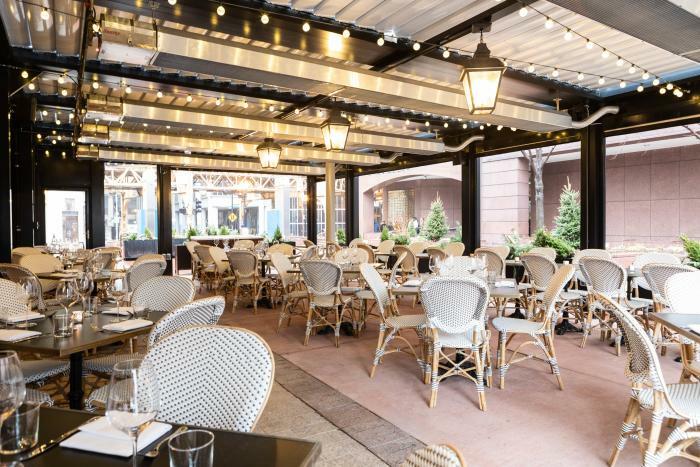 Located just south of the Chicago Board of Trade, this elevated French restaurant boasts an enormous all-seasons patio, complete with charming white wicker chairs set up French-cafe style. Whether you’re enjoying food or drink, you can feel like an ex-pat writer in Paris without leaving the country. 155 W. Van Buren St. In addition to summer, Chicago loves its local celebrities, especially its chefs. 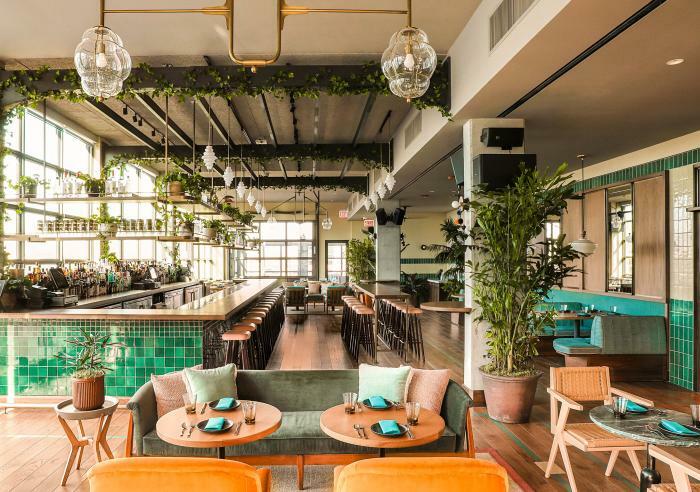 Stephanie Izard, the first female to win Top Chef, has opened her fifth restaurant, which happens to be on a rooftop — just in time for the warm weather. Cabra is a Peruvian cevicheria nestled on the 12th floor of the new Hoxton Hotel in Fulton Market. The 8,000-square-foot restaurant is enclosed in glass, but it can open up to include the hotel’s pool area. Combine the fresh flavors of peppers and pisco with a warm summer night and you have the perfect patio experience. 200 N. Green St. The iconic Carbon and Carbide building in downtown Chicago (the one designed to look like a champagne bottle) is now the home of the St. Jane Hotel and its new rooftop lounge. 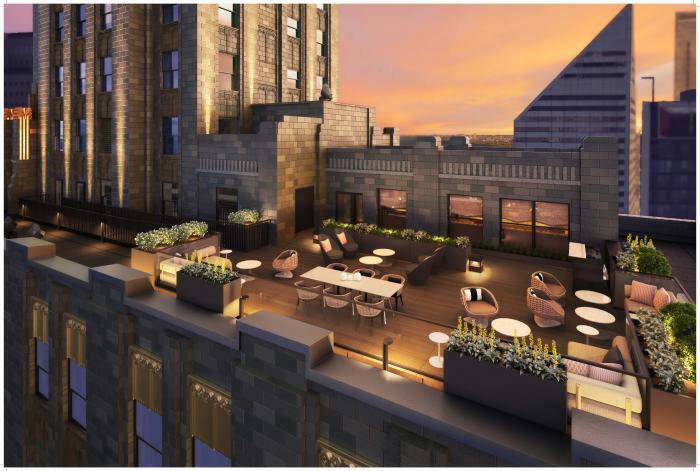 Perched on the 24th floor, the intimate indoor/outdoor rooftop bar will have sweeping views of Chicago’s historic skyline. The new spot will tout “interactive” cocktails, which is yet to be clarified but sounds utterly intriguing. 230 N. Michigan Ave.